With King Richard gone, Prince John unjustly taxes the people. 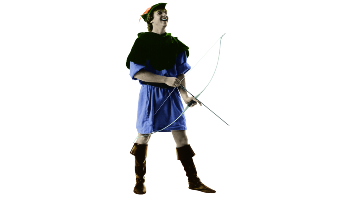 Join Robin Hood’s band of merry men as they try to outwit Prince John and the Sheriff. Parking Advisory: Please note that the Lesher Center Garage will be under construction. The Lesher Center Portal Project will create a walkway from the Parking Garage to the Lesher Center, so patrons can travel between the two structures without having to exit on Locust Street. Construction will begin in early April and continue through mid-May. Entry from Locust Street into the Garage will be reduced to one lane. Accessible parking will not be available on the ground floor, and access to the Locust Street side elevator and stairwell may be blocked during constuction. Please take advantage of the California Boulevard side entrance and elevator during this transition period. Click here to sign up for regular email updates from the City of Walnut Creek.